Quarterback Toss is a winner at any sporting event, fund raiser, or carnival. It's a very simple game but irresistible! No football player or football player want-to-be can walk by this game without giving it a shot. 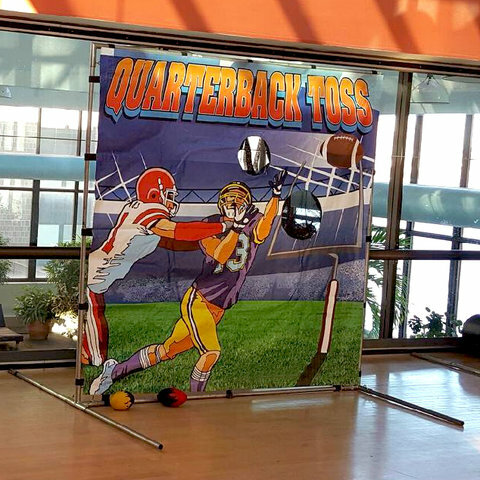 Quarterback Toss can be set up indoors or out.